Manor House, view palladian monument. Ponte Vecchio. In the heart of the city of Bassano del Grappa, elegant House with antique furniture and very nice. In tranquil setting, yet close to art cities such as Venice, Vicenza, Padua, Treviso, Trento. Possibility of naturalistic and cultural activities. We really enjoyed our stay here. Spacious rooms and an efficient kitchen. We especially enjoyed the balcony overlooking the river. We had several meals and snacks on the balcony. The location is ideal to wander the streets of Bassano. The historic wooden bridge is only steps away. The area is quiet -we slept like logs. And even though we were there in the slow month of August, there were several evening concerts and special events going on in the evenings. We did our grocery shopping for staples at the Coop market, not far from the apartment and we visited neighborhood markets for fresh salamies and local cheeses. There is a great outdoor market every Thursday and a smaller one on Saturdays. Wish we could've stayed longer. Wendy and Dan are exceptional hosts, tidy and very respectful of the rules of the house, they left the house very tidy and it was a pleasure to have them in our house. We hope to see them again soon and recommend them to all the other owners. Such a lovely location and comfortable apartment! 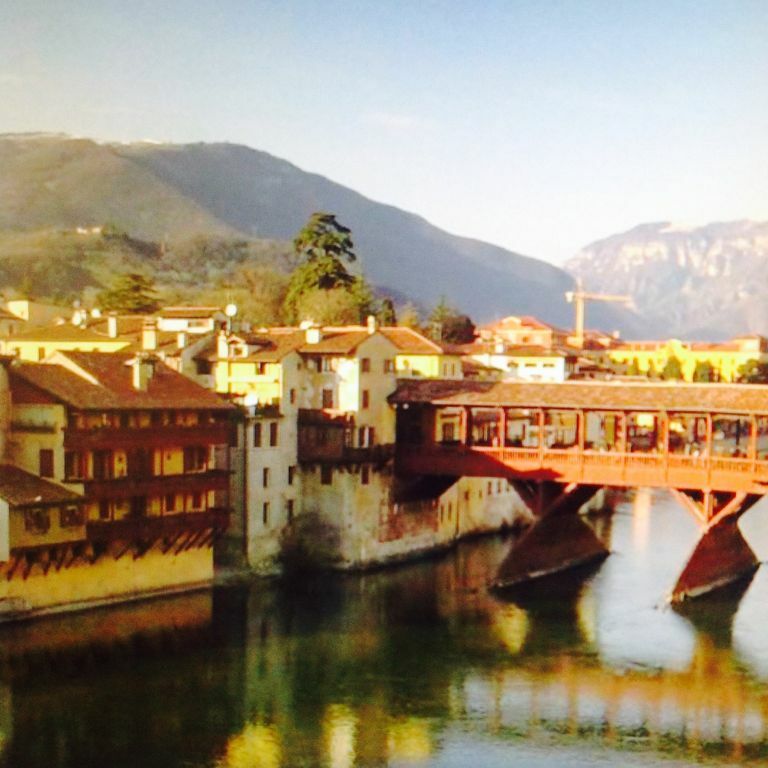 Bassano is a lively town, the hub of social life and the apartment is just in the center yet it is quiet and peaceful. The view overlooking the gardens across the river is stunning. Lucia is a kind and helpful hostess. We stayed almost 2 weeks and we were able to walk nearby for groceries, fresh bread, cheeses at the market on Thursdays and Saturdays as well as many cafe's and restaurants. Ospiti eccezionali gentili e cortesi e rispettosi della casa è stato un piacere conoscerli e averli come ospiti, speriamo che tornino presto. Charmant petit appartement idéalement situé avec une merveilleuse vue sur le "Ponte degli Alpini" de Bassano. La propriétaire est accueillante, charmante et toujours disponible. La mise à disposition d'une place de parking à proximité est très appréciable. Pour les amoureux de Bassano del Grappa, cet appartement est fabuleux. Comfortably reach by car, by train, by plane. A few meters, typical pubs restaurants, pizzerias, sandwich bars, cinema, theatre, Museum, mercaini, walking, cycling and walking, swimming, paragliding gliding, horseback riding, boating. Hiking in the mountains.